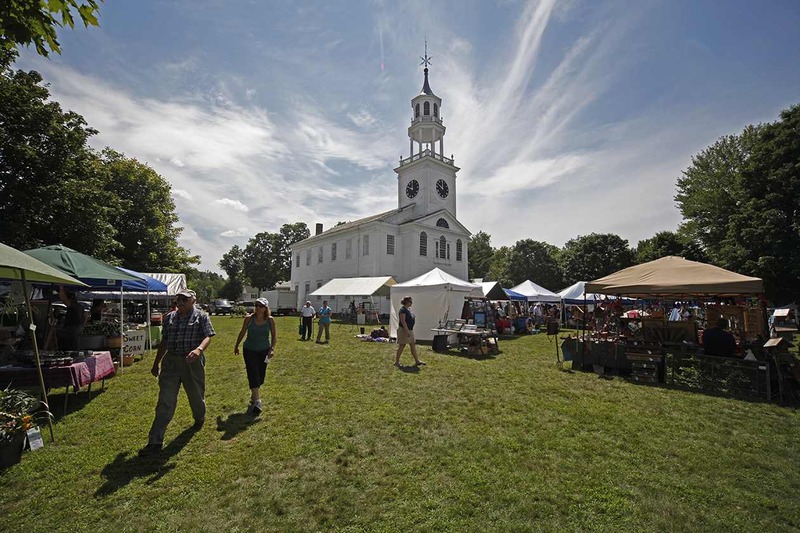 The 80th annual East Poultney Day on Saturday, August 8th from 9am to 3pm on the historic East Poultney Green is the premier event of the Poultney Historical Society. The theme of the day is “Coming Home: Poultney at the Close of the Civil War” in recognition of the 150th anniversary of the war’s final days. Renowned Civil War expert, Howard Coffin, is the featured speaker in the Main Events tent at 11 AM, and will be speaking on “Vermont and Union Victory.” Coffin will explore the last weeks of April 1865 from the Vermont perspective. He will be signing copies of his award-winning book, “Something Abides: Discovering the Civil War in Today’s Vermont”. Artist Kerry O. Furlani will be demonstrating letter carving on slate, and inviting the audience to join in. As usual on East Poultney Day, there will be a diversity of local vendors selling unique crafts, folk art, collectibles, plants and local produce. The Snowmobile Club will provide their hot dogs, burgers, fries and sodas, and the East Poultney General Store will offer sandwiches, snacks, and drinks. Young children and parents are invited to join Katie Duffy in the morning for coloring and arts and crafts in the Activities Tent. Miniature goats, Ethel and Lucy, will join the fun that morning, plus chickens and Odie, the pot-bellied pig (who loves watermelon.) Fortunately, 6th grader Ruth Dailey will be selling watermelon and lemonade throughout the day. Children and adults can write letters home with quill pens and ink at the one-room Union Academy schoolhouse and then mail them from the old Poultney Mail Wagon outside the Melodeon Factory. The Historical Society’s annual raffle drawing will be at 2:30 PM, featuring three Grand Prizes, including a vibrant Matt Solon painting, a limited edition Alan Nyiri photograph, $100 cash, and many prizes from local businesses and vendors. Since East Poultney Day is the Historical Society’s only fundraising event, please visit our tent, become a member, buy raffle tickets, and help support the preservation of Poultney’s history. You can also purchase raffle tickets before the event at the East Poultney General Store.